It takes a lot of work to run a club and over the years many people have contributed to our success. Life Membership can be awarded after 10 years meritorious service. This award recognises those members who have displayed a lifetime commitment to the Club. They have regularly attending club meetings for over 25 years, served various roles on the committee and generally assisted in the success of the Club. The following people have distinguished themselves in promoting the cause of motorcycle sport or rendered conspicuous service to the Club. We recognise their efforts by awarding them Honorary Membership in our Club. 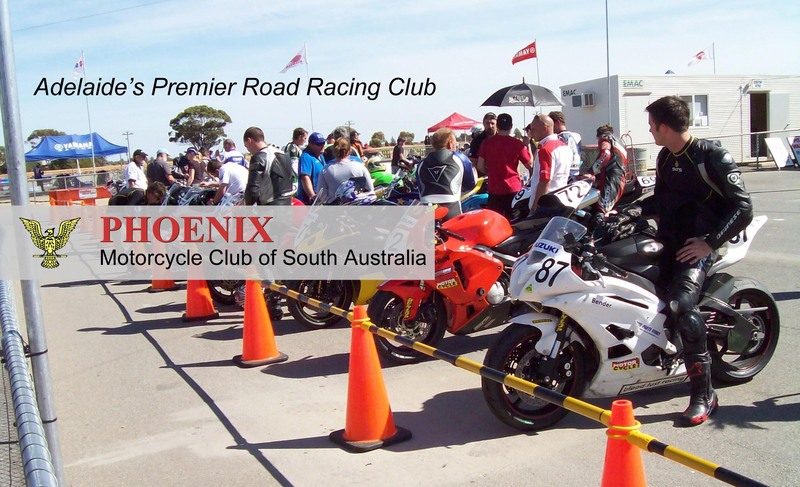 Over the years, the Phoenix Motorcycle Club has been a breeding ground for top riders in this state and listed below are some of our members achievements. Ken Blake An early club member and very successful racer. Some others who gained fame (1964-1990) on the National and International circuit were Bill Horsman, Paul Cawthorne, Karl Hammersley, Jeff Miller and Andre Bosman.